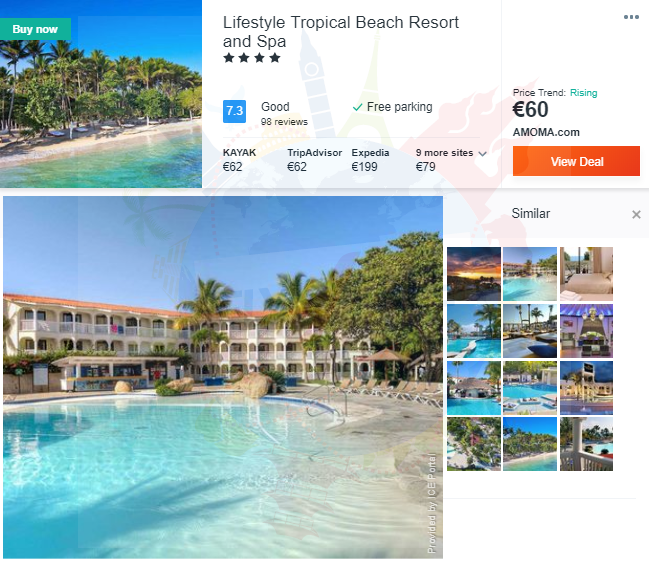 Situated in El Cofresí in the Puerto Plata Province Region, 24 km from Sosúa, 4* Lifestyle Tropical Beach Resort & Spa All Inclusive boasts an outdoor pool and views of the sea. The resort has a spa centre and water sports facilities, and guests can enjoy a meal at the restaurant or a drink at the bar. Every room at this resort is air conditioned and is equipped with a TV. Some rooms have views of the pool or garden. Every room includes a private bathroom. For your comfort, you will find free toiletries and a hairdryer. There is a 24-hour front desk, concierge service, a tour desk and hairdresser’s at the property. You can play tennis, table tennis and billiards at this resort, and the area is popular for snorkelling. Cabarete is 35 km from Lifestyle Tropical Beach Resort & Spa, while San Felipe de Puerto Plata is 6 km away. The nearest airport is Aeropuerto Internacional Gregorio Luperon Airport, 19 km from the property.